The Scott Erickson Experiment may have ended before it ever started. The Proven Veteran Starter, listed as No. 19, didn’t make it out of warmups Thursday before hitting the disabled list — David Cone last season at least waited until May. Back in his place is Jae Seo 38, whose evil cackle we could hear all the way from Norfolk. 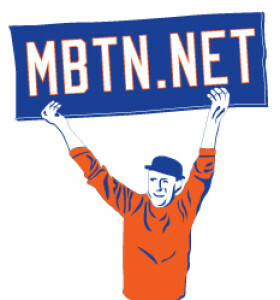 So for the time being, we’ve reduced our All-Time Met list to 726 players and are left waiting. Update: Seo appeared in Saturday’s game wearing No. 26. That makes three numbers for Seo in as many seasons as a Met. He made his MLB debut in 2002 in 38; switched to 40 last year and back to 38 this spring after Braden Looper took 40. See here for a list of Mets who wore multiple uniform numbers.